Grilloz Restaurant and Takeaway is located at 4 O’Neill Crowley Quay in Fermoy. Open 7 days a week, it offers diners an extensive menu of carefully prepared food. Under the supervision of manager, Adeel, the premises has been completely refurbished. 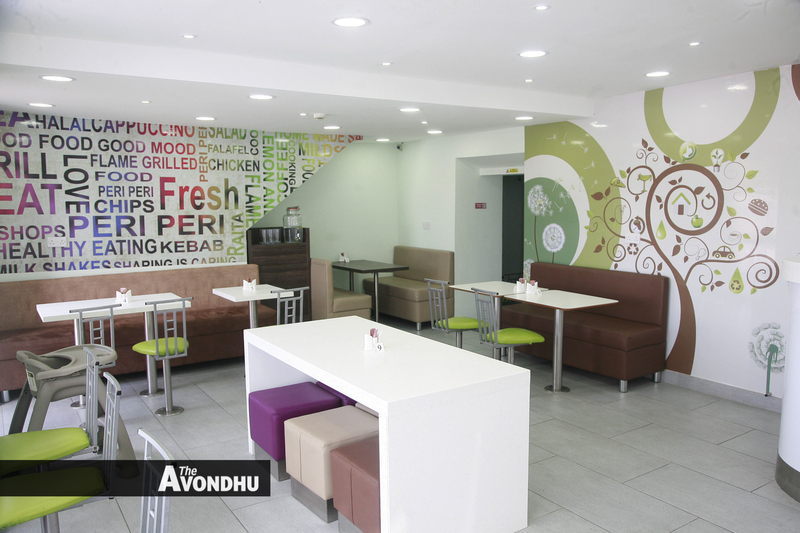 The end result is a bright, spacious, tastefully decorated restaurant that’s well worth a visit. Already Adeel and his staff have earned rave reviews for their peri peri chicken which comes in a variety of interesting flavours: classic marinade, lemon and herb, medium, hot and extra hot for the very brave. Quarter, half or whole chickens can be ordered – all are flame grilled, with no cooking oil used. Peri peri chicken can be served with sides of fries (regular or peri peri), mash, nuggets, rice or coleslaw and the beverage of your choice. Grilloz specialise in platter catering which is ideal for families or groups. Some examples are the ‘pizza wings platter’ (12” pizza, 10 chicken wings and two sides) for just €16 or the ‘kebab platter’ (any 2 kebabs with 2 sides) for €15.50. If there are a few extra guests, you might consider the ‘super platter’ with its 2 whole chickens, 12” pizza and 4 sides – this costs a very reasonable €40 and should satisfy any appetite. Grilloz provide a free delivery service to residents of Fermoy town – for those residing in surrounding locations (Rathcormac, Kilworth, Clondulane and Castlelyons) there’s a modest €5 surcharge. The phone order side of the business continues to grow and is especially popular among the younger generation who are regular users of WhatsApp and Viber (089-2225660). 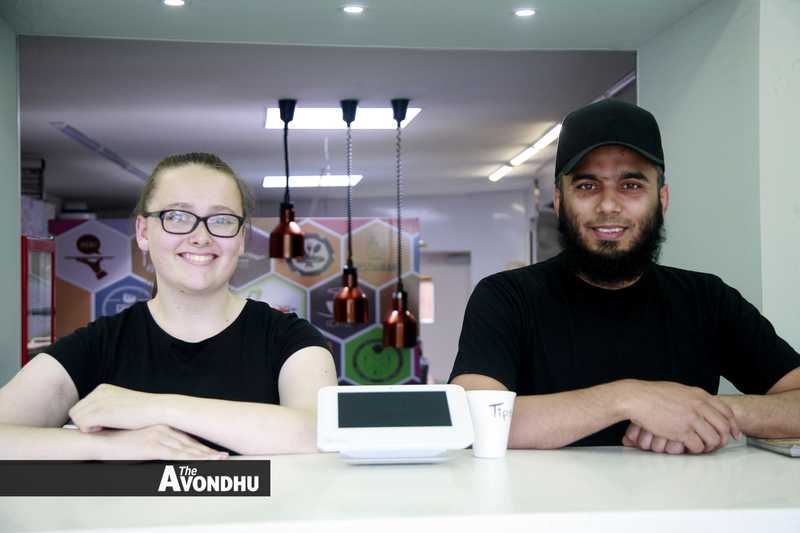 So, if you have some friends around this weekend and don’t want the hassle of preparing a meal, give Adeel and his team a buzz – they’ll get to work straightaway and in no time at all, you and your buddies will be tucking in. All chicken and beef used at Grilloz is Irish in orgin and comes quality assured. Food is prepared in house to exacting standards. Grilloz is a busy restaurant and opens 7 days a week (midday till midnight) except Friday when the opening hours are 3pm until midnight. As Ireland becomes more culturally diverse, there’s an increased demand for Halal food which Grilloz offers. Vegetarian pizza, mixed salads and yoghurt salads are just some of the non-meat options available, more details on demand. Desserts in their many guises are an integral part of the Grilloz menu. Ice cream features prominently with kheer (a type of rice pudding) also available.